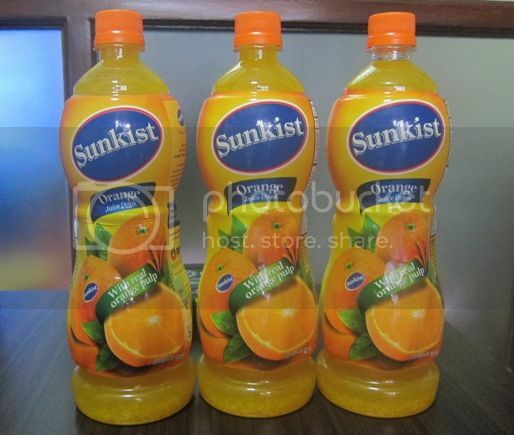 These three 1-liter bottles of Sunkist Orange Juice Drink were delivered to our doorstep for review last Friday. The timing was perfect because my son was insisting we buy juice for him from the grocery store at our building lobby. He eats better when there’s juice served on the dining table. As expected, my 5-year-old son was the first taster. I know from experience that he wants clear fruit juice with no pulp perhaps because the pulp gets in the way of his drinking. Because mommy was wise, I did not shake the bottle of Sunkist Orange Juice Drink so he can get the topmost part, which is pulp-free. The verdict: The little boy liked the taste. He even asked for a refill. The rest of us (three adults) in the house tasted the Sunkist Orange Juice Drink, too, and we all found it refreshing. It tasted like real orange. It has real orange pulp, too, which makes it more interesting to drink. I also liked the fact that it’s loaded with vitamin C, and it has zero fat and zero cholesterol, so it’s not only refreshing and tasty, but healthy, too. Have you tried Sunkist Orange Juice Drink, too? You can visit the official FB page of Sunkist to know more about their products. This entry was posted in Drink Review, Sunkist Orange Juice Drink. Bookmark the permalink. I always have this Sunkist Orange Juice Drink whenever I take calls at work. I work night shift in a call center & it makes me awake & alert! I don’t know but its really refreshing! 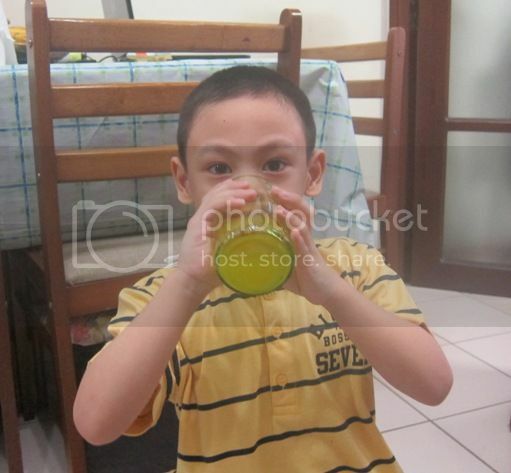 Sunkist juice drink is a very good source of vitamin c. Sweetness is just right compared to other orange juice drinks. I recommend this to everyone!